Inspired by the black volcanic nature and infused with traditional Cycladic architecture, the Day Dream Luxury Suites are the perfect combination of minimal design, true style and pure luxury. Pamper yourself in one of its infinity pools or Jacuzzis and gaze at the horizon where the sky meets the sea and together they compliment the views of the rough cliffs and the volcano that stands imposingly in the center. Take pleasure in a majestic sunset while having a unique and unforgettable experience. 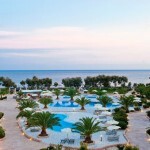 Hotel Facilities: Reception from 08:00 to 22:00, Outdoor fresh water pools, Outdoor Jacuzzi, Indoor Jacuzzi, Sun Beds, Beach & pool towels, Room Service, breakfast, Concierge service, In-house laundry and pressing services, Wireless fast internet access free of charge, Fax Services (upon request), Massage (upon request), Doctor on call, Babysitting available, Hospital within 5 minutes on foot, Business center, Private kettles for 24h complimentary coffee. The Junior Honeymoon Suite can accommodate up to 2 guests. 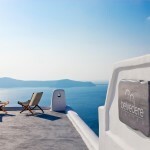 It provides its guests with unbelievable views over the sunset, the caldera, the cliffs and Fira and also shares a pool and an outdoor Jacuzzi. The Superior Honeymoon Suite can accommodate up to 3 guests, offers mesmerizing views over the caldera and the sunset and shares a pool and an outdoor Jacuzzi. The Senior Suite consists of a master bedroom with en suite bathroom and a living room and has access to a sharing infinity pool as well as an outdoor Jacuzzi that offer views of the caldera and the volcano. The suite can accommodate up to 4 guests. The Grand Family Suite has one bedroom with en suite bathroom, an indoor Jacuzzi and a living room that can accommodate two more guests. The guests of the Grand Family Suite have also access to a sharing infinity pool with waterfalls and views of the volcano. 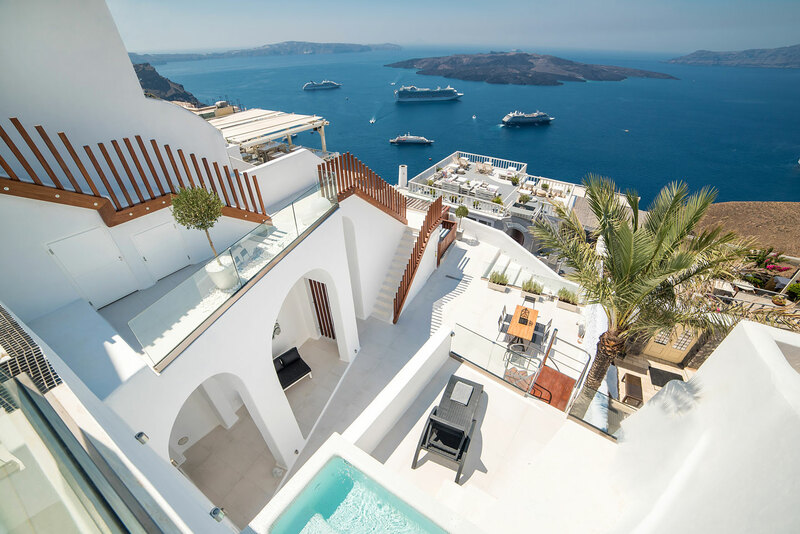 The Dream villa is composed by 2 bedrooms and two bathrooms as well as a living room that can accommodate two more guests and has its own private infinity pool that overlooks the picturesque volcanic nature the cliffs and Fira. The residence villa consists of two separate bedrooms, two bathrooms (one with an indoor Jacuzzi) and a living room. Above the villa guests can indulge themselves by using their private outdoor Jacuzzi or swim at their private pool, enjoying the view of the caldera and the volcano.